In this modern era each and every individual wants to look voguish and fashionable. Charming and attractive personality is crucial to attract the attention of other person. Its the dressing sense of the individual which helps to represent person's personality. In terms of clothing quality and perfection is the first thing which cannot be ignored if a person is in professional line. Tailored suits are the best to create positive image of your personality. One can give an appealing look with bespoke tailored garments. These garments help to fascinate the attention of other person. The suit customized through bespoke tailor provides 100% guarantee and assurity that will give the best value for your money. The market is full of ready made suits and shirts but these garments are not comfortable to wear as they are not stitched according to the unique physique. Ready made garments need some kind of alteration which consume lot of time if one has to attend any urgent group meeting or needs to attend any formal function. Every individual wants to look best in their outfits. Bespoke suits and shirts are fit for every individual and for every occasion. A well stitched suit helps to increase the confidence level and therefore add gracefulness in his personality. Every person wants that his personality should be catchy and unique so as to give more professional look. 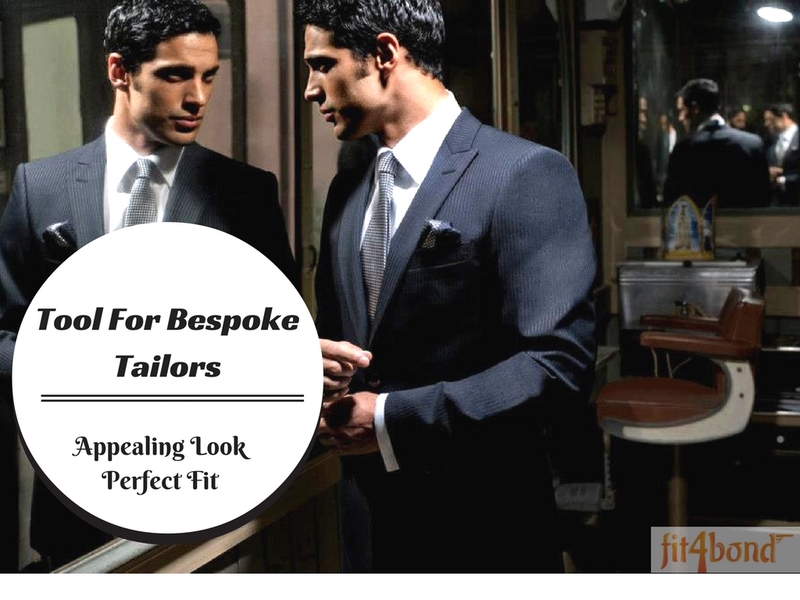 Bespoke tailors are the one which are know for designing hand made clothes according to the measurement and specification provided by the individual. These tailors provide assistance in choosing the right fabric and style for your suit. They fully customized your suit according to the requirement and design provided by the individual. In bespoke tailoring the garment is fully designed keeping in mind the comfort level of the user so that the person feel comfortable and provide perfect look in that outfits. Bespoke tailoring is the best option, if a person needs to add more style and pattern to his outfits. There are various online stores which aim to deliver best services in customizing your shirts and suits.Tailors who are using online tailoring platform use some technical tools like Fit4bond tool. Fit4bond tool is specially for tailors.where customers can design their own suit and they can preview their suit in a 360 degree rotational manner.It has some additional feature like Virtual fitting room where a 3D avatar will wear our designed product.Through this feature we can decide whether our designed product looks good or not.People who are prefering online tailors can experience a great change in his style and personality after customizing their garments by bespoke tailors.